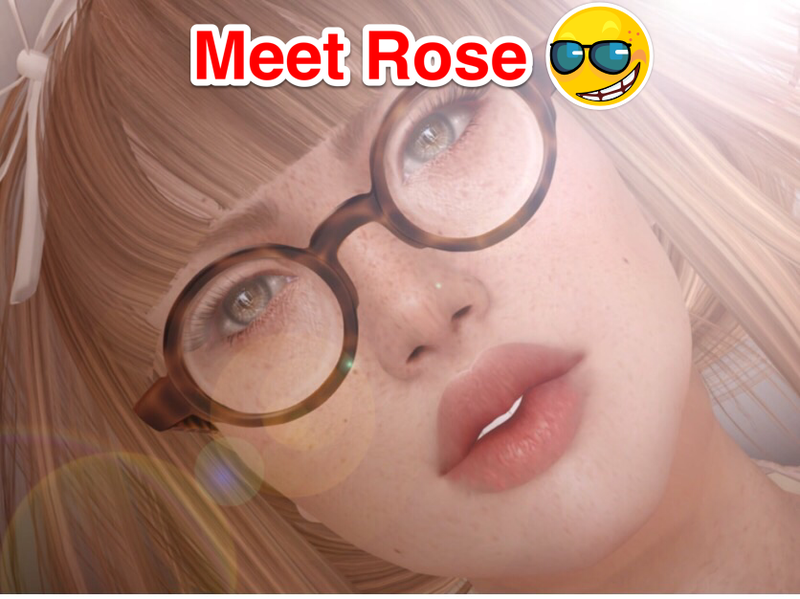 Lets use this opportunity to meet one of Second Life finest : Rosehanry. And also married to Katie!! and also married to Ben! Creator Elvina Ewing – owner of Caverna Obscura is reselling her very own gachas plucked straight out of her gacha machine for thousands of Linden dollars. This is extremely gross and unethical and defies what a gacha is. Contacted both the creator Elvina and Nicci Nitely who runs Fantasy Gacha Carnival for clarification about her event and if this is something allowed, both have refused to respond for comment or clarification. 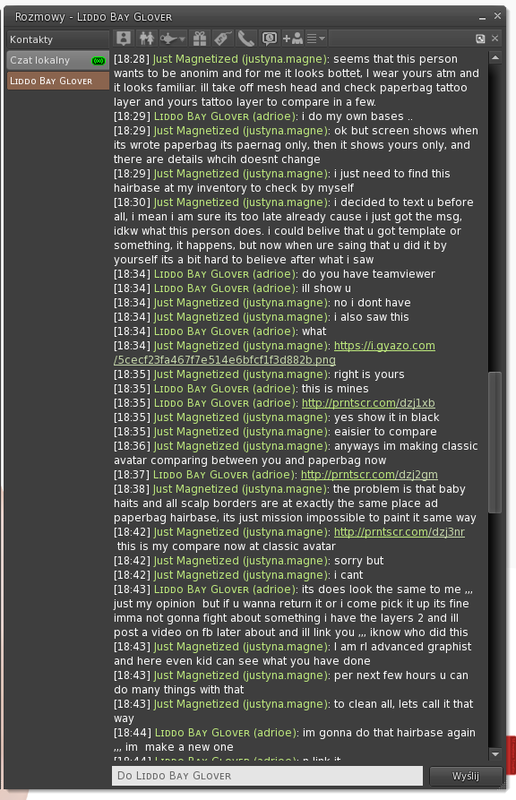 This personifies GREED and this behavior should be known by customers and the Second Life community. 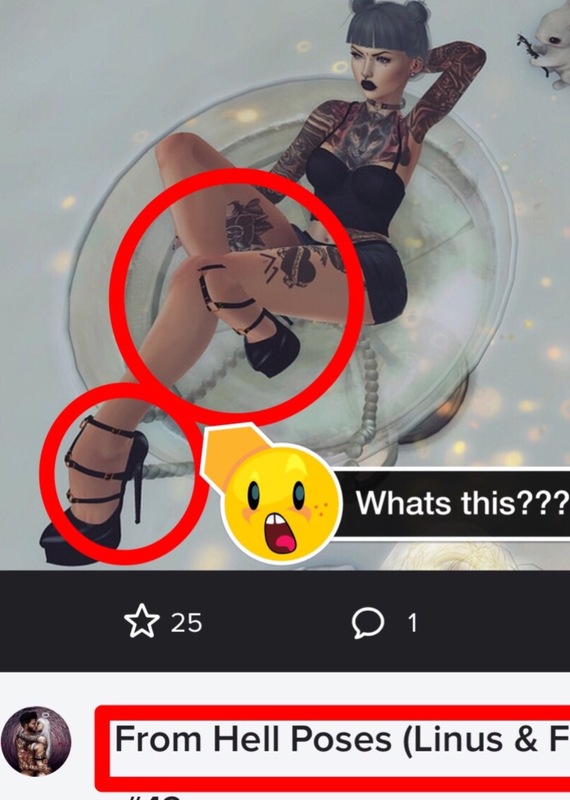 However, this same person is claiming on her new Artist Page that she used Photoshop, Zbrush, and Blender to create everything even though she is clearly wearing brand such as Cureless and Nerolab. Extreme backlash including from a blogger with a Law Degree. Tonight I received a msg from new incognito account about PLEX store the person compares 2 botted layers at Photoshop i GUESS of old hair base from Paperbag and new one from PLEX called Yolanda setup for Applique January round. 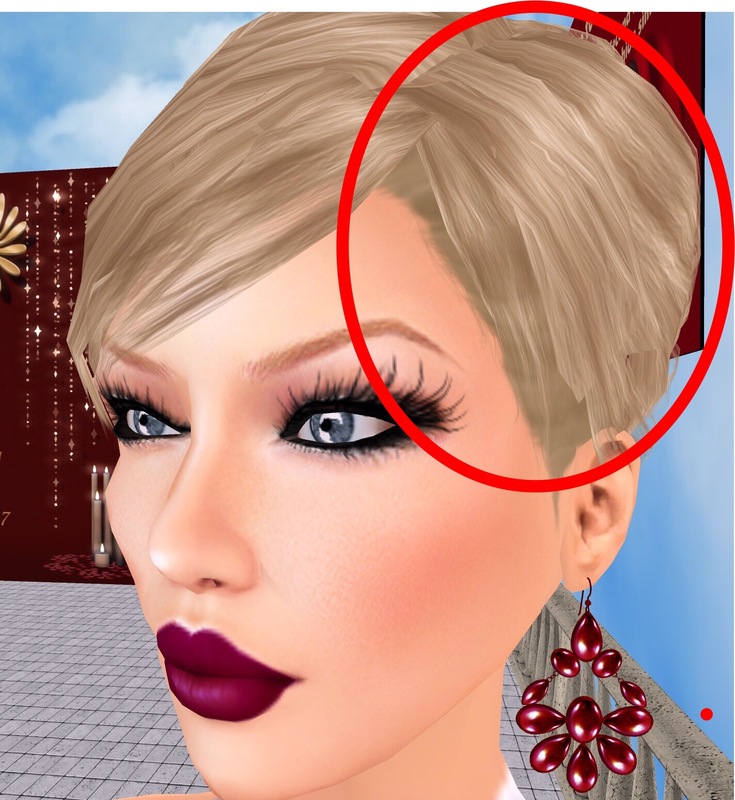 Please don’t ask me who did the screens of botted hair bases, account have one day and i have nothing to do with. I would believe that she got stolen template or something, anything. But she tries to prove me at STOLEN SKIN template that she painted it alone. makes no sense. Please warn your friends and event owners. The past weeks has been a cease and desist as well as a DMCA take down week for us at the whisperer and we are really getting tired from the bullying. We got whispered and below is the whisper observations at the memorial of Dani Plassitz. In our opinion, this could likely be due to lag or some rezzing problem and also a lesson learnt to all modeling industries for another day. Today I attended the Celebration of Life for Dani Plassitz. This was supposed to be a celebration of her life and time in Second Life and the many people she touched in her time. However, from what I witnessed, it was extremely disrespectful to her memory. The styles and designs I saw on the runway displayed the talent of Ms. Plassitz and her attention to detail. I wish that I could say that the models that were in the ‘show’ had her same attitude toward professionalism and attention to detail. What I saw was sloppy and unprofessional and did NOT do Ms. Plassitz any justice. Please understand that there were many other issues with models that I was NOT able to get pictures of. There were some models that did do justice to the clothing, but the show as a whole was in poor taste, in my opinion. How Ms. Plassitz touched the lives of so many was a testament to her giving nature. However, when you have a model giving a speech that is questionable, that does not honor the memory of Ms. Plassitz. Reeks?! In a memorial? Poor taste in my opinion. This celebration could have been much more professional in it’s attitude and in it’s presentation. One more time: Will you be Eastlyn Aila’s Family? Going..Going.. Eastlyn Aila posted on Facebook about needing a Family and that post was shared generously on Social media. While she is busy talking to people/various dads and moms and can’t make any serious decisions in a day she seem to be having the blast of her life *rolls eyes*. We got whispered about Heth’s Faux Life and it seem really so obvious.. Why does he even bother who really cares what you wake up to really? Who found this diamond ring for Heth? 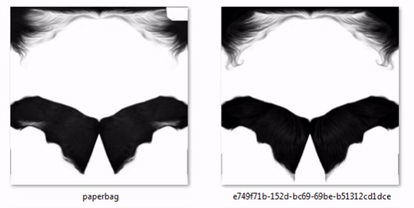 Google and any other reverse image search proves something different. He certainly loves to imply that he lives a high class real life to his followers by indirectly saying that these images are his. It’s quite comical considering that this one isn’t even from the same continent that he claims it to be!